Dentistry is an important business, as anyone who’s ever had a bad tooth can tell you. When it comes to your health and well-being, you want only the very best, and that means you want Comprehensive Dental Center LLC Dr. Niobe Joseph, DDS. 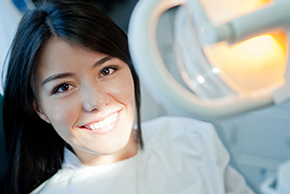 Under our expert care you’ll feel perfectly at ease and receive the best dental treatment in all of New Orleans, LA. A visit to the dentist shouldn’t be a stressful, unpleasant experience, and we make every effort to ensure that you’ll feel right at home. “Come in as a Patient, Leave as Family” is our motto, and we live it each and every day. When you need a dentist, you should always be able to come to somebody you fully trust. We’ll prove our skill to you, and we’ll also prove how much we care. Whatever the need, we can fill it. Dentist exams are performed here with diligence and an eye for detail, and they’ll also be over as quickly as possible. We’ll keep you happy and upbeat, and we’ll never make you take more time out of your day than you can afford. Your dental health and your mental health never need to be in conflict; each is as important as the other and each will be considered. We also offer $70 off a comprehensive oral exam and full mouth x-rays; your wallet shouldn’t suffer to please your teeth. When the worst should happen, don’t sweat. Dr. Niobe Joseph and his staff are masters of multiple dental techniques and operations. We’ll deal with root canals, discolored teeth, crown and bridge work and extractions with skill. You’ll never have to worry about a thing. Comprehensive Dental Center LLC Dr. Niobe Joseph, DDS is ready to put you at ease and get to the bottom of any troubles you may have. Come in today and schedule an appointment. You won’t regret it.